Lightweight roof tiles are an increasingly popular choice for homeowners looking to reroof their home, office or garden building. This is as they can be installed on virtually any building type, whether it is a timber or steel structure. Fitting lightweight roof tiles is also easier and safer than fitting traditional concrete or slate tiles. Have Questions About Our Lightweight Roof Tiles? If you have more questions about our range of lightweight tiles, simply speak to our team online or by telephone. With over 40 years of experience in roofing, we can help you pick the ideal solution for your project. We’ll also ensure you have all the appropriate fixings and flashings to achieve a faultless finish. Buying roofing materials can be daunting, especially when ordering them online. With over 40 years of experience in roofing, however, we get asked lots of questions about our growing range of lightweight roof tiles. Here are some of the most common questions with answers for each! Why Do I Need Lightweight Roof Tiles? Traditional concrete or slate roof tiles can weigh as much as 75kg per square meter. Whilst many structures can withstand such weight, some timber frames are best suited for lightweight alternatives. Metal and plastic roof tiles will typically weigh between 10kg - 15kg per square meter, which also makes them easier to fit. What is the Life Expectancy of These Roof Tiles? 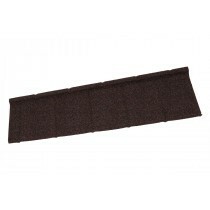 Lightweight roof tiles utilise innovative materials and coatings to provide incredible durability. This provides a life expectancy of 40+ years in most circumstances. Some of our metal and plastic tiles also offer a 40 year guarantee to provide added confidence. Which Lightweight Roof Tile is Best - Metal or Plastic? Metal and plastic roof tiles typically have similar weights. They both have a life expectancy of 40 years in most circumstances too. The biggest difference between these two lightweight roof tiles is their appearance. Whilst plastic tiles often provide a slate appearance, metal roof tiles are available in a greater variety of profiles. 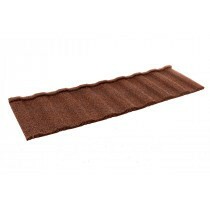 Do I Need a Membrane with These Roof Tiles? A breathable membrane is often required when fitting metal or plastic roof tiles. 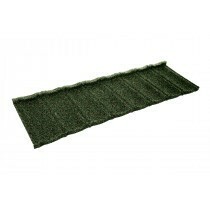 This aids ventilation and prevents any moisture building up. You should, however, refer to the manufacturers installation guide to determine which type of membrane you will require.